They say “third time’s the charm,” right? Well, I guess only time will tell if the third installment of my summer bake sale will be even more successful than the last two. In May it rained. In June I got a nasty sun burn on my shoulder. This time, I’m covering myself completely with sunblock and packing extra umbrellas! Rain or shine, this sale is going down! I hope to see you all there! 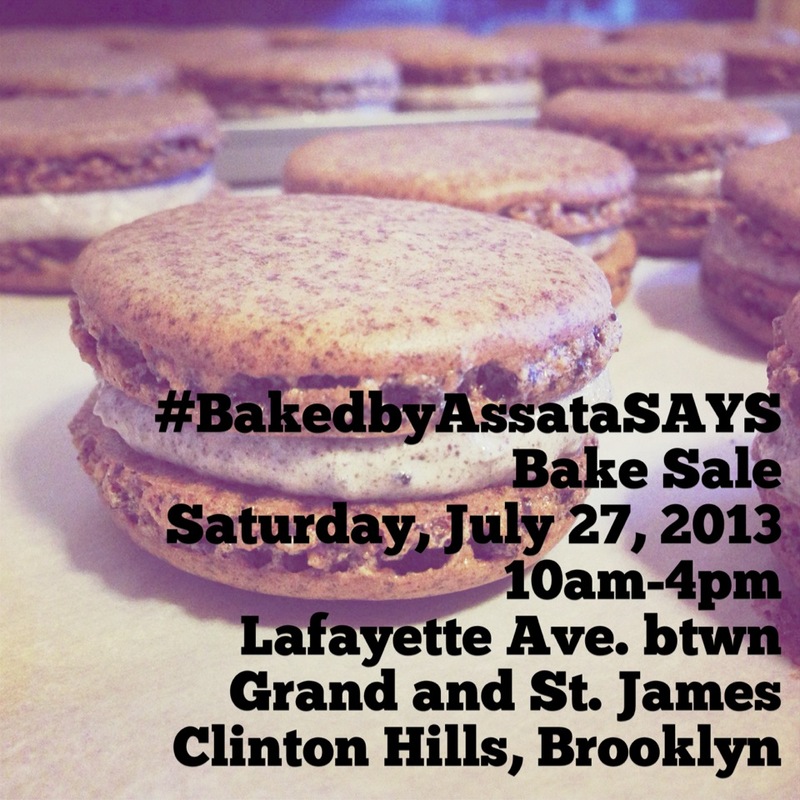 This entry was posted on Friday, July 19th, 2013 at 11:28 am	and is filed under ASSATA, BAKED, EVENTS. You can follow any responses to this entry through the RSS 2.0 feed. Both comments and pings are currently closed.